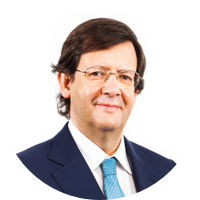 Read the message of Pedro Soares dos Santos, Chairman of the Jerónimo Martins Group. "In 2018, the Jerónimo Martins Group once again beat all sales records by banner and as a Group, reinforcing its leadership positions in the markets where it is present." 2018 was a year that was clearly marked, on the international scene, by a surge of political and commercial tensions, which heightened the uncertainty and unpredictability in the world. Nine out of every 10 leaders who responded to the World Economic Forum survey expected 2019 to bring an exacerbation of the political and economic conflicts between the main powers. And within a 10-year horizon, they see extreme weather phenomena and the failure of climate change policies as being the most severe threats. North American protective policies and the USA-China trade war, with the mutual imposition of tariffs on the import of thousands of goods and services, represent a radical change of paradigm in international economic relations and will inevitably have a negative impact on Europe. In fact, what we are seeing today looks to be the end of the rule-based multilateral trading system, which was developed following World War II and was responsible for unprecedented worldwide economic growth. The complexity of the supply chains in a globalised world and the numerous interdependencies that exist between the economies mean that no country is immune to the real dangers of economic growth slowdown and a rise in prices. "We are seeing today the end of the rule-based multilateral trading system, (...) which was responsible for unprecedented worldwide economic growth." The International Monetary Fund has already warned about the impacts of the heightened commercial tensions in the growth of the major trading powers, including the USA and China themselves, as well as France, Germany and Great Britain, the latter also under threat from the uncertainty still surrounding Brexit, after more than two years has elapsed since the referendum that led to it. In France, the rise in the prices of fuel and the cost of living in general, linked to a tax reform accused of further increasing social inequalities, were at the root of the “yellow vests” movement. They stand as defenders of greater economic justice in France, but the violence of the protests has already brought about almost 4,000 arrests, over 3,800 wounded – more than 1,000 of whom are police officers – and the death of 15 people. As Jerónimo Martins’ two main markets are located in Europe, this scenario obviously worries us, just as we are disturbed, even though in a different way, by the situation in Venezuela, whose outcome and impact on its neighbour, Colombia, are still unknown. At the time of writing this note, dozens of countries internationally (including Portugal, Poland and Colombia) have recognised the legitimacy of Juan Guaidó, president of the National Assembly of Venezuela and self-proclaimed interim president, who wants to lead the country to a pacific transition through free, lawful and fair elections. But Russia, China, North Korea, Turkey and Iran, as well as the majority of the Venezuelan Armed Forces, continue to support Nicolás Maduro. In Portugal, in the third year of the mandate of the current governing solution – which brings together parliamentary support composed of the Socialist Party, the Left Bloc and the Portuguese Communist Party – led by the socialist prime minister, António Costa, the political environment was marked by the end of so-called social peace. After the first half of the mandate, in which the Government focused on reconstituting incomes and the working conditions that the Portuguese people had lost during the crisis years (2010-2014), some sectors of society believed they had been overlooked compared to others. In anticipation of the three electoral acts to be held in Portugal in 2019 (the European elections, the general elections and the regional elections in Madeira), social protest became more heated in 2018. As a result, the number of prior notices of strikes amounted to 733, the equivalent of two for every day of the year and the highest level since 2015, around 90% of those warnings having substantiated an actual strike. Among the most prominent sectors were the stevedores, nurses, doctors, teachers and auxiliary teaching staff, school canteen staff, workers from various kinds of public transport, registry and notary offices and call centres, judges, bailiffs and other judicial workers, to mention just a few. Even within an unstable environment, in 2018, the Jerónimo Martins Group once again beat all sales records, by banner and as a Group, reinforcing its leadership positions in the markets where it is present. With over 4.000 stores spread across Portugal, Poland and Colombia and a universe of more than 108 thousand employees, we once again achieved more than a billion euros higher total sales than the previous year and remained among the biggest retailers in the world, according to the “Global Powers of Retailing” ranking, compiled annually by the consultants, Deloitte, and which is already in its 22nd edition. The Group’s consolidated turnover reached 17.3 billion euros in 2018, 6.5% higher than in 2017, driven by a like-for-like growth of 3.1%, as well as the net opening of 277 new stores. The net results attributable to Jerónimo Martins amounted to 401 million euros, representing a growth of 4.1% against 2017. The Group continued to be an important investor in the countries where it operates, with capex reaching 658 million euros, of which 41% was allocated to the expansion and opening of new stores and Distribution Centres and the remainder being channelled into the normal maintenance of the operations and for improving the shopping experience. Biedronka absorbed 372 million euros of investment (57% of the Group’s total capex) for the opening of 122 stores (77 net additions) and refurbishment of a further 230, as well as for the improvement works on the operation’s logistics infrastructure, having ended the year with a network of 2,900 locations. The Company continued to see interesting opportunities for opening proximity stores and believes it has the right format, with the necessary layout flexibility to fulfil those opportunities. As far as economics are concerned, in the year in which it celebrated the centenary of its regained independence, Poland continued to post strong growth, the respective Gross Domestic Product (GDP) achieving a solid 5.1% growth, driven by the dynamics of domestic consumption, which benefited from the salary increases and the drop in the unemployment rate to a historic low of 6.1%. Along with the country, Biedronka celebrated this important historic anniversary, starting an era of social investment, which in this first year led to a national partnership with Caritas Polska for distributing more than 5,000 pre-paid cards for the more underprivileged elderly people in Poland to buy food. In operational terms, 2018 was marked by legislation coming into force that limits retail stores from opening on Sundays. With 21 less sales days during the year, Biedronka concentrated on ensuring it transferred the maximum sales from Sundays when it was closed to other days of the week, simultaneously protecting the efficiency of both the store and warehouse operations. The banner also adjusted its promotional activity so as to maintain its appeal to customers and increase the value of its average ticket the other days of the week. Proof of the resilience and suitability of the strategy implemented by the Company can be found in the 5.6% growth in turnover to 11.7 billion euros. In local currency, sales grew by 5.8%, driven by the LFL of 2.7% and by the store opening plan. "Biedronka started an era of social investment, which in this first year led to a national partnership with Caritas Polska for distributing more than 5,000 pre-paid cards for the more underprivileged elderly people." In Portugal, Food Retail remained extremely competitive and promotional, with consumers reacting positively to the campaigns carried out. In line with previous years, Pingo Doce reinforced its market position, leveraging its promotional capacity in an innovative way in one of its strategic differentiation pillars – Perishables. This new dynamic introduced a monthly instead of weekly promotion scheme, encompassing a huge variety of products. The momentum of the theme-based initiatives was also maintained throughout the year. As a result, total sales grew by 4.6% to 3.8 billion euros, showing a remarkable LFL growth performance of 3.5% (excluding fuel), together with the opening of 10 new stores, eight of which under the Pingo Doce & Go convenience concept. The Wholesale market on the other hand was once again boosted by the tourism sector. In this context, the strength of Recheio’s commercial proposition enabled it to also benefit from a favourable consumption environment, thereby helping the Hotel, Restaurant and Coffee Shop segment. Sales increased by 4% to 980 million euros, with a like-for-like of 4.4%. The Company closed the year with one less store, ending December with 42 locations. The Food Service segment once again proved to be one of the Company’s growth drivers, having posted a growth of more than 15%. The Amanhecer project achieved organic growth, reaching 329 partner stores, while the Export segment managed to broaden its scope of activity, by entering new markets. With regard to the Group’s not yet profitable businesses, despite the significant impact of the ban on sales on Sundays and stronger presence of the Health & Beauty categories in the supermarkets and discounters in Poland, Hebe saw a 25% rise in its sales in 2018. When converted into euros, sales increased by 24.7% to 207 million euros, a performance that confirms that it has the right value proposition for the Polish market and has the potential to deliver value in the near future. So, Hebe once again managed to reinforce its market share, having opened 51 new stores (48 net additions) and ended the year with a total network of 230 locations, standing as the chain with the largest growth in the Polish Health & Beauty and Personal Care sector. In Colombia, where presidential elections took place that elected Iván Duque as the successor to Juan Manuel Santos, there were continued signs of stability. The new Government aims to continue with receptiveness and encouragement vis-à-vis private investment and with a series of social programmes initiated by the previous Government. Throughout the year, Ara focused on gaining dimension which enables it not only to maximise its effect of scale but also to win increasing relevance in the Colombian market. These steps have proven to be essential for the growth in sales density, with the offer of better, higher added-value products, which also contribute to the development of a more interesting margin mix, which is fundamental for attaining profitability. As such, our Colombian chain of proximity stores opened 143 stores in 2018, at a pace of one new location every 2 and a half days – with an investment totalling 118 million euros – having closed the year with 532 stores. Ara inaugurated another Distribution Centre in the Greater Bogotá region, so that it now has four logistics units in Colombia. Its sales stood at 599 million euros, 47.9% up on 2017. At a constant exchange rate, sales grew by 53.9%. In conjunction, Ara and Hebe recorded combined losses in EBITDA of 80 million euros, an amount that compares with the losses of 85 million euros the previous year. Ara was responsible for around 90% of the losses generated, having stabilised that amount, in local currency, compared to the previous year. As expected, Hebe recorded a decrease in losses generated in EBITDA, although the performance was impacted in 2018 by the law restricting stores from opening on Sundays. Consolidated EBITDA for the Group as a whole grew by 4.1% to 960 million euros, the respective margin standing at 5.5%, whilst the solidity of the Group’s balance sheet remained undeniable, with net debt reaching 80 million euros, which is reflected in gearing of just 3.9%. These results take on particular relevance if we consider that the Group continued to make an upward review of its employees’ salary packages and compensation policies in the three countries. Based on this financial position, at the General Shareholders’ Meeting, the Board of Directors of Jerónimo Martins will propose the payment of a dividend of around 204 million euros related to the profits for the 2018 financial year. This proposal is the equivalent of a payout of 50%, which is in line with the dividends policy in force. At the Jerónimo Martins Group, we continue to believe that our primary responsibility is to be profitable, as that alone enables us to create value on all fronts. We believe that profitability must go hand-in-hand with responsibility, and that is why we conduct our businesses so as to be a force for positive transformation in the societies and communities where we operate. In 2018, in recognition of its performance in over 300 social, environmental and governance indicators, the Group not only remained part of the Euronext Vigeo-Eiris Eurozone 120 index, but for the first time, was also included in the Euronext Vigeo-Eiris Europe 120 index, being the only Portuguese retailer to do so. "We believe that profitability must go hand-in-hand with responsibility, and that is why we conduct our businesses so as to be a force for positive transformation." Furthermore, it maintained its presence in the other international sustainability indices, such as the FTSE, the Ethibel, the MSCI or the Stoxx, and for the first time, entered at 181st place in the Equileap Top 200, which recognises listed companies with the most proven gender balance in the workplace and economic justice for women. We are proud that our efforts to balance performance in the short term and sustainability in the long term continue to be worthy of the support and recognition of our shareholders, and in particular of our majority shareholder. On behalf of the Management, I should like to thank everyone for their trust and I hereby reaffirm our commitment and dedication to the mission of continuing, in these times of uncertainty and complexity, to lead the Jerónimo Martins Group on the path to profitable and sustainable growth. Finally, an expression of my appreciation goes to my colleagues on the Board of Directors who contribute their vision, experience and trust to the strength of our performance and the will of our teams to always do more and better. Get to know our initiatives in the Sustainability area.